The new calender „POETRY and SCULPTURE 2020“ has been created in cooperation with photographer Lothar Sprenger. For the first time the beautiful photographs are joined by poems written by Polish poet Dawid R. Wiktorski. 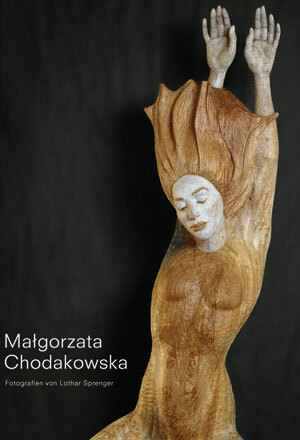 The combination of three arts: sculpture, poetry and photography make this calender unique. Fountains as well as wooden sculptures will guide you through 2020. Order the calendar online at: Weinshop Zimmerling (45,00EUR plus postage) or at the studio Weingut Klaus Zimmerling. 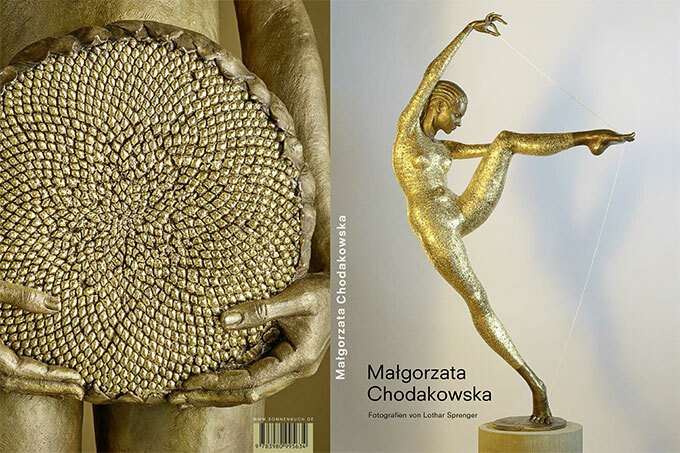 Sculptures and fountains made of wood or bronze by Malgorzata Chodakowska on photographs by Lothar Sprenger. The new calender created by Malgorzata Chodakowska in cooperation with photographer Lothar Sprenger circles around the big issue which moves everyone – LOVE. Sculptures or groups of sculptures communicate in simple elegance in front of a black backround to transport different messages of love. Let yourself be touched by almost heavenly compositions of sculptures, when angelswings spread, tutus dance or a engrossed “Bella Figura” turns her head dreamily in a soft shower. 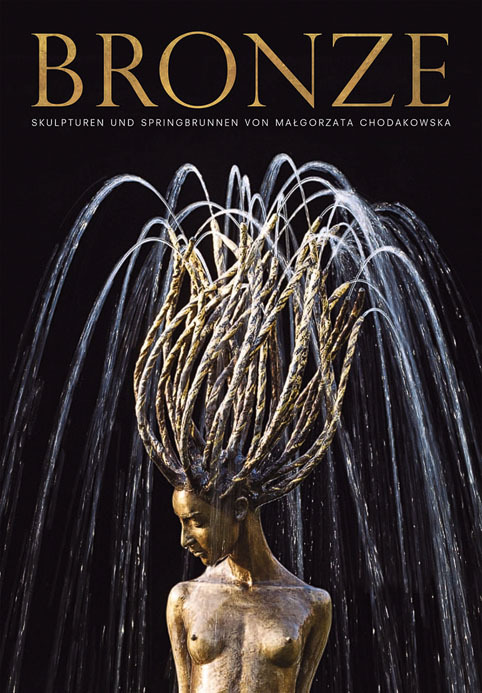 Malgorzata Chodakowska shows once again how perfectly she combines the solid element of her bronze with the flow of the water. The calendar captivates with a professional print and manifacturing. Be invited to spend 2016 “With Love”.